On May 30, 2000, Thomas A. Bellart became the Unlimited, Inc. equivalent to the late inventor Thomas Edison. Tom Bellart and Unlimited now share in the holding of Patent 6,067,754. The patent covers the removable inner frame of a completely assembled basement window. "...the present invention which, while designed and intended to be installed on one particular orientation can, if installed upside down and/or inside out, be re-assembled on the interior without requiring removal, replacement or re-installation." This invention relates, generally, to innovations and improvements in basement windows of the type which, in fully assembled condition, are designed to be inserted in a building foundation concrete form and remain in place after concrete has been poured around them. Basement windows of this general type are commercially available from a number of manufacturers. However, such currently available basement windows are designed to be installed in only one correct orientation. 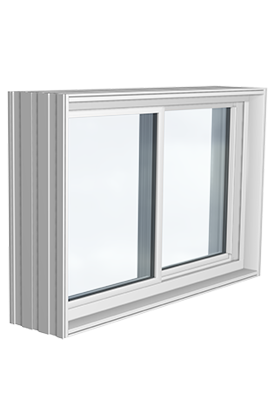 Accordingly, if one of these windows is installed upside down, and/or inside out, it has to be removed and usually replaced with another assembled window which is correctly installed after the opening has been repaired for its installation. The cost of the discarded basement window and labor involved in its removal and repair of the opening for installation of its replacement, add significantly to the cost of construction. The patent was filed for on June 17, 1998, and after almost two years of research by the United States Patent Office, Patent 6,067,754 was granted. Unlimited, Inc. has been using this design in their basement windows since 1997.